Currently, all of America’s top academic universities including Harvard, Yale, Princeton, MIT, Columbia and Cornell, provide kosher meal programs in campus dining halls and/or at the university-based Hillel Houses. For the first time in its 100-year history, Rice University (Houston, TX), launched a kosher meals pilot program on Oct. 24, 2011 serving 15 students. Currently, the program serves lunch only. Kosher meals, supplied by Suzie’s Grill owner Susan Goldstein, are being delivered Monday through Friday to the Rice Housing and Dining office. At present, there’s a price differential between what Housing and Dining pays for the kosher meals and the amount students pay for a meal plan. The kosher meals have been included in the meal program, despite the higher cost for the students who signed up. At many other universities, students who opt for a kosher meal plan pay a higher cost. Instead of koshering one of the dining halls, Rice University opted to open the program to a limited number of students and have kosher meals brought in. Suzie’s Grill was chosen as the vendor. All dishes at Suzie’s Grill are certified kosher by the Mehadrin Kashrus of Texas and the Houston Kashruth Association. One of the latest to offer on-campus kosher dining, Tulane Hillel’s Kitchen, the first kosher restaurant in New Orleans proper. It feels more like a restaurant than a college dining hall. Whether it’s house-cured pastrami, homemade pickles or Vietnamese duck, you’ll find it here. Hillel’s Kitchen is located inside Tulane’s new Hillel House and is open to the public for lunch and dinner during the week. Certification is given by Rabbi Uri Topolosky of Congregation` Beth Israel in New Orleans. This selection of food sounds somewhat different than the regular campus fare and it is. Since Tulane’s Hillel doubles as a restaurant, it makes it possible to offer more high end foods. Contrast Tulane’s new opportunity with that of Wilfrid Laurier University (Waterloo, Ontario, Canada), which offered a kosher program, when it began, what would best be described as pre-packaged high-end TV dinners, suitable only for students in apartment-style residences, where they can cook their meals. Kosher observance for those away at school requires more than good upbringing; it requires strong commitment. Those used to Mom’s refrigerator or a strip of eateries in walking distance are in for a surprise. Not all kosher eating plans are equal nor do they all make keeping kosher reasonable and easily doable. The dining options at the University of Maryland (UMD) are already fairly limited, but for some Jewish students who keep kosher, options are even more restrictive due to their distance from the Hillel. Because of this, some Jewish college students have drifted away from kosher. "I think if you keep kosher in College Park, it's a huge sacrifice because the Hillel is so far removed from the rest of campus," said one junior who is majoring in journalism. "That's why a lot of Jewish students mainly hang out with other Jewish students, because we need to live closer to the Hillel for food and spend most meals with each other." A question under the 'Frequently Asked Questions' section on UMD Hillel's online meal plan page addresses this concern: "What can a student do if their dormitory or classes are far removed from the Hillel and they cannot always make it for a meal?" Hillel allows students to pack a "to-go" lunch, or they can pick up their meals before or after the scheduled mealtime. However, these options still require students to make the long trek all the way to Hillel. Likewise, there are very few options for food on campus itself. One of the really big challenges is the dearth of options at these universities. While Hillel houses may offer kosher meal options, very often they are once a day meals, sometimes only for Shabbos. What is a student to do for his/her other meals and constant cravings, especially at late night cramming sessions? Really, the #1 challenge, a topic too involved to cover in this article, is the quality of kosher being offered. Many well-thinking parents are unaware of the kosher standards at a given kosher meal program. Many Hillel directors are non-Orthodox and they are the one directly involved in the kosher program. Does the facility employ a mashgiach? Does a Jew turn on the fires? Who receives and checks in the orders? 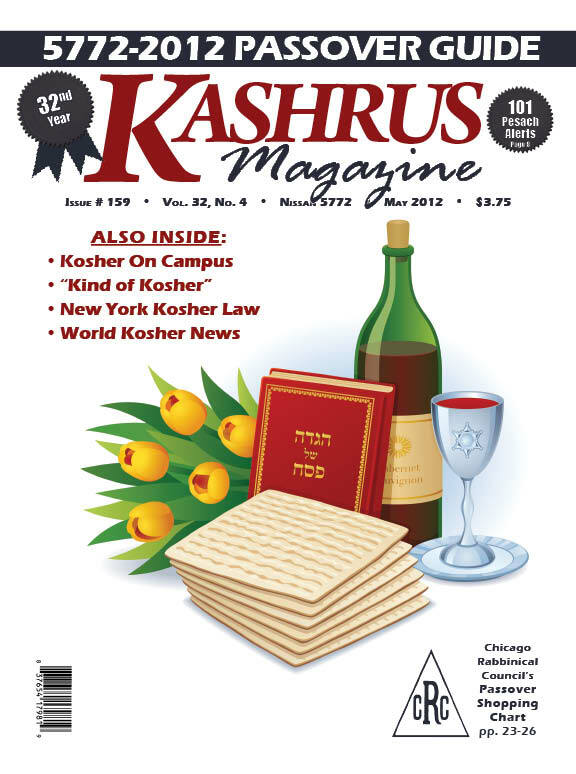 Recently, KASHRUS Magazine took an active role in upgrading the kosher standards of the meal program at one NYC university by helping to get it under a responsible vaad hakashrus ,whereas before it was certified by an individual rabbi who does not enjoy a enviable reputation. Had the caterer not chosen to meet the vaad standards, there would have been a major conflict between the rabbis of the local community (who are part of the vaad) and the school’s kosher program. This is an in-town school. Out-of- town schools will have kosher certifications which vary greatly from one another. Let your rabbi help you research a school’s kosher standards. Keeping kosher in a secular society is a very challenging part of being Jewish. Most observant Jews choose to live in communities near grocery stores or restaurants that sell kosher items, allowing them to live comfortably and not have to constantly worry about finding kosher food. However, when they travel to an unfamiliar area, keeping kosher can prove difficult. Imagine, then, the teenager at college. Away for the first time from a refrigerator filled with kosher products and a built-in gourmet mother-cook whose home-cooked meals are just what he/she grew up liking (and asking for doubles). Now place that youngster hundreds of miles away in a non-observant setting surrounded with other choices. There is no “alternative” to keeping kosher, but a young person at college who’s hungry and who is not near his parents, rabbi, or other observant person, may have his mind play tricks on him, and that is why many students may gravitate to vegan. Keeping kosher in your own dorm room or apartment is obviously also an option. If you live off-campus or have housing on campus that allows having a microwave, crock-pot or stovetop, cooking your own meals gives you kosher freedom. But, the time-consuming aspect of self-cooking is not attractive to all students. There is a current advertisement running in many Brooklyn papers placed by a Brooklyn lawyer. He is seeking those who recently traveled on a cruise aboard NCL Norwegian Cruise Line, had booked requesting kosher food but were stranded out in the ocean, hundreds of miles from a kosher corned beef sandwich, and offered only non-kosher foods, albeit accompanied by many sincere apologies from the captain to the cook. The fact is that early cruise lovers who were kosher brought along their own food to eat in their state rooms, dining as loners throughout the long cruise. Unfortunately, some of today’s cruisers feel that they would rather capitulate today and sue tomorrow. Three years ago, KASHRUS ran an article about Rabbi Moshe Handlesman’s ocean voyage to the U.S. in 1950 (#146, p. 46, October 2009 “How I Reached the Shores of this Great Country”). Completely without kosher food, the frum Jews were literally starving. In dire straights, they approached the captain who quickly offered them whatever kosher foods were aboard and the time to use the kitchen to prepare those foods for the Jewish travelers. The second “kind of kosher” story that recently passed by me is found on a new Jewish blog, My Western Wall.net, written by Rafi Hecht. Mr. Hecht posted the following story. While visiting a patient in the hospital, a frum woman handed him a Starbuck’s Hot Chocolate, with no kosher symbol at all in sight. That woman explained that the hot chocolate was kosher, since the ones in the store have a hechsher on them. The next time he visited a Starbucks, he asked to see the bag used to make the hot chocolate. There was no hechsher. When he asked whether it was kosher, the barista replied, “Uh, I’m pretty sure that all of our products are, like, kosher.” He passed on the hot chocolate, but, sadly, many would have taken it. I move every moveable and not-so-moveable appliance and piece of furniture and attack the area behind it with a vengeance that frightens the hardiest of onlookers. Every sock, every paper clip and every toothpick gets scrubbed down with soap, water and my magic cleanser. Don’t even get me started on the toys. You get the picture; I’m one of those. I get mocked and I get hocked, mostly by the male population, but still I staunchly stick to my Pesach cleaning rituals and take great pride in my work. I keep a collection of some of my more interesting finds, exotic specimens discovered in the most unlikely places. These I show to any man who dares question my methods. I regale anyone who will listen with the story behind each piece of chometz (or pseudo-chometz), cherishing my precious stash until Erev Pesach, when I’m forced to burn it. My pride and joy: a piece of lokshen kugel, glued with some mysterious substance to the underside of our seder plate. That one I save for those who wonder why I have to Pesach clean the Pesach things. I won’t go into great detail about cooking, but suffice it to say that, for about two months before Pesach, my life-saving kitchen in the basement sees a non-stop flurry of activity, from the oven to the freezer, and then back again. One particular year, I was due to give birth three weeks before Pesach. We decided to spend Pesach with my parents in Baltimore to spare me what I call my labor of love, but what the rest of the family deems backbreaking, excessive and unnecessary. I must admit, I was kind of relieved to be able to take it easy that year. It was a difficult pregnancy and waking up the morning after Rosh Chodesh Cheshvan with nothing but the usual daily chores on my agenda felt great. As Pesach neared, we consumed as many chometz products as we were able and got rid of whatever was left. When I gave birth to a beautiful baby boy a mere two weeks before Yom Tov, we planned the bris without the added pressure of cooking and cleaning for Pesach. Then, Bedikas Chometz day dawned crisp and clear, and I was super relaxed. No last minute cleaning for me. All I had to do was clean one room for my husband to do a bedika on, have him call our Rabbi to sell the remaining chometz, wherever it was hiding, to the non-Jew, and we’d be off early tomorrow to a relaxing Pesach. Or so I thought. Erev Pesach was a great day for interstate traveling. In the early afternoon, after a day and a half of frenzied packing, we piled into the car with our new addition carefully bundled into his car seat. It was with a true feeling of liberty, of z’man cheiruseinu, that we pulled out of our driveway. Our liberty was pretty short lived. It began with a slight rumbling, then continued with a more ominous hissing. The coup de grace was the billowing smoke emanating from under the hood of our car. Barely two hours into the eight hour trip, we found ourselves on the side of the I-80 at a safe distance from our smoking car. My heart sank. Shivering in our thin sweaters, my six girls and I huddled together while my husband attempted to get in touch with the AAA. Thankfully, the newborn was more appropriately attired and was comfortable for the moment, but a glance at my watch told me that he would very soon get hungry. Thus began the waiting… and the whining… and the waiting… By the time the tow truck showed up, an hour later, the sinking feeling had begun to settle deep in my stomach. While my husband and oldest daughter traveled home in the tow truck, I and the rest of the crew had to settle for a car service. Our desperate plea to be towed to Baltimore elicited incredulous laughter from our kind but businesslike tow truck driver. The cost of taking the car service the rest of the way to Baltimore ruled out that option. We piled into our home exactly sixty minutes before candle lighting time, with the alarming awareness that Pesach has to be made… Now! The panic that had been slowly rising over the course of this surreal day shot up exponentially. I attempted to quell it by closing my eyes and inhaling really deeply. After ascertaining that this was not some nightmare I had yet to wake up from in the warmth of our car, I took mental stock of the situation. We had spent a minute talking and strategizing, meaning that candle lighting was now in fifty nine minutes. In that time we would need arrangement for our meals, out of the house, obviously, and we would need to clean and do a bedikah of our entire house. I steadied my shaking hands, swallowed hard and opened my eyes to face my troops. The gleam in my older daughters’ eyes told me they were up for the challenge, Hashem should bless their souls. Because a mutiny was the last thing I needed on my hands at that moment. My husband made arrangements for us to eat out for the first days at least, miraculously at one house. We could buy supplies after that or make the trip, a bit late. The first order of business for me was to map out the battlefield. I assigned two adults, or semi-adults, to each level of the house. The oldest girls would tackle upstairs; my husband and middle daughter would take on the main floor until he would begin the bedika, and the “Younger Middles”, as we like to call them, would handle the basement. My youngest girl, the new baby, and I would supervise. I designated one of the bedrooms upstairs as the “Lock-Up room”, where we stowed anything that likely contained chometz but was too complicated to clean. We would lock up this room and that would be the room where all the non-Jew’s chometz would be stored, should he honor us with a visit. The three displaced girls would bunk with their sisters. I had already packed the children’s clothing for Yom Tov, so all the other clothing went in the Lock-Up room, as well as toys, games and books and select pieces of furniture. We turned the music on loud enough to reverberate through all corners of the house, ensuring that only the fastest tunes with the most invigorating beats play, to help us maintain the tempo and rhythm of our cleaning. Following behind me, by just a few steps, was my husband doing a quickie bedika, the shortest he had ever done for a full house bedika, and this year even he discovered “real” chometz. Meanwhile, I tried to close my eyes to this short-cut version of Pesach cleaning that was transpiring in my very own home. My husband kept our devoted rov on the phone nearly the entire time, asking checking, receiving guidance and inspiration (and counseling). It was amazing how little I truly knew about what was required, what was recommended and what was ridiculous. The questions were endless. Chairs, mattresses, window shades, sock drawers… we’d never thought to differentiate between what was necessary and what wasn’t; we’d always just cleaned it all. Couches that would be used on Pesach were opened, moved and vacuumed. Toys were all stowed out of sight, besides for a select few that were easy to clean and would suffice to keep the children busy for the entire duration of our Yom Tov at home. We didn’t even bother checking the books, generally a job that took two weeks, as I had very strict no–eating–and–reading rules. Tables were covered tightly with waterproof material, and the chometz kitchenware wasn’t even glanced at. We scrubbed, we covered and we taped shut. We laughed, we sang, and we screamed. Some time in the middle of all the madness, my husband recited with particular intensity the words that nullified any chometz we’d overlooked, and ran out to shul, six blocks away. I took over. The adrenaline coursing through my veins helped me forget that I was still recovering from birth and not exactly operating at peak strength. We swept and vacuumed till the kids said it’s time to light. When my husband returned from maariv, it was to a home smelling of lemon-scented cleanser and hefty doses of Ajax and to a tired but glowing troop of women lining up to greet him. 59 minutes and we had done it (or it had done us in). Right then and there, all I could think about was, if I did this I could do anything. I could make a wedding two weeks before Pesach, and I could have 50 guests over for the seder. I could compromise slightly on my self-imposed pressure to be perfect and I could make Pesach no matter what else may be going on in my life. Because in future years, if circumstances will seem difficult and I’ll wonder how to cope, all I’d have to do is remember the time I made Pesach in 59 minutes.